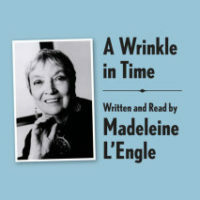 For generations of young readers the books of Madeleine L’Engle became touchstones; and many return to the worlds and characters she created throughout their adult lives. In honor of what would be this Newbery Award-winning author’s 100th birthday, we’re inviting fans to listen to very special editions of the first three books of the Time Quintet. 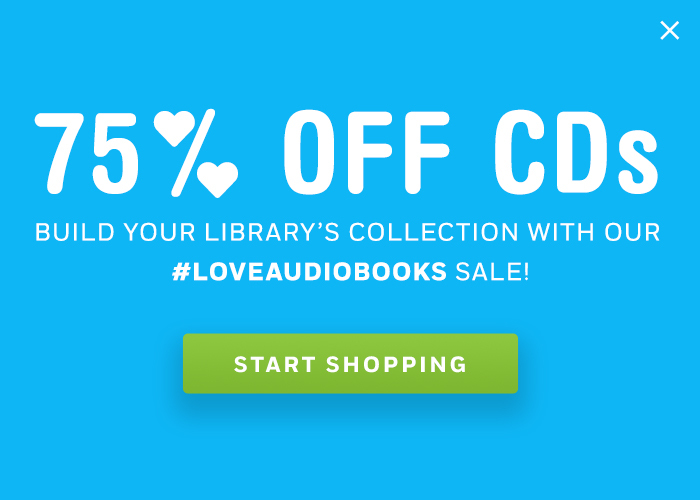 These archival audiobooks were originally recorded in 1993 and narrated by Madeleine herself—now they’ve been newly restored to captivate the next generation of listeners. Meg Murry, her little brother Charles Wallace, and their mother are having a midnight snack on a dark and stormy night when an unearthly stranger arrives at their door. She claims to have been blown off course and goes on to tell them that there is such a thing as a “tesseract,” which, if you didn’t know, is a wrinkle in time. Meg’s father had been experimenting with tesseracts when he suddenly disappeared. Will Meg, Charles Wallace, and their friend Calvin outwit the forces of evil as they search through space for her father? Meg Murry can’t help but be worried when her six-year-old brother announces there is a dragon in the vegetable garden. But Charles Wallace is right about the dragon–actually a friendly entity who has come to help him fight his strange, serious sickness, and to take Meg and her friend Calvin O’Keefe on a terrifying, wonderful journey into galactic space–where they must battle the force of evil to save Charles Wallace, and themselves. Fifteen-year-old Charles Wallace and the unicorn Gaudior undertake a perilous journey through time in a desperate attempt to stop the destruction of the world by the mad dictator Madog Branzillo. But in overcoming the challenges, Charles Wallace must face the ultimate test of his faith and will, as he is sent within four people from another time to search for a way to avert the tragedy threatening them. Learn more about the woman behind the Time Quintet! Madeleine L’Engle’s granddaughters wrote–and narrated— her biography and included never-before-seen archival materials, including photographs, letters, and journal entries, from throughout the writer’s life. The Becoming Madeleine audiobook will speak not only to fans of the icon’s work, but to anyone interested in writing, legacy, and the impact of one person on the people that love her.